Go on this cruise and be taken on an amazing journey into the myths and legends of ancient Mexican civilization. Our ship will cruise along the coast with its glittery night lights until we reach the secluded beach location where we will treat you to wonderful food and a spellbinding performance that will take you back in time. This cruise is a magical journey into the fascinating world of mysticism and legends. Join us at sunset and go aboard our ship for a beautiful view of Puerto Vallarta’s glittery coastline. 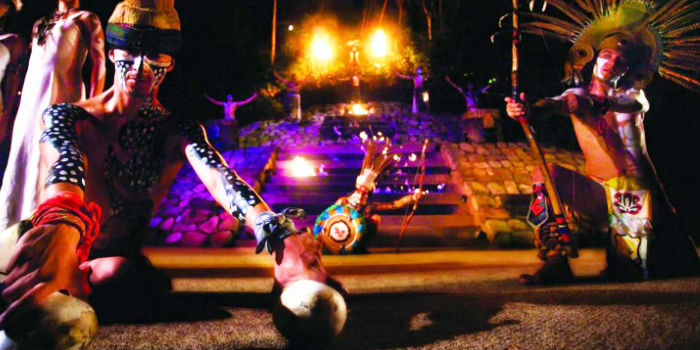 Let us take you to torch-lit Las Caletas where we will begin our journey back into time. Enjoy a delicious dinner on a candle-lit beach, featuring grilled steak, chicken, and fish with fresh salads and vegetables, handmade tortillas, and a dessert buffet with pie, brownies, fresh tropical fruit and traditional rice pudding. Enjoy your superb dinner on benches and tables on the beach and under palm trees and listen to the waves and relax as we will enchant you with a performance of music and dance that brings back the legends and tales of ancient civilization and will enchant you by its magic. Modern dance troupes will leave you breathless with their unique and magical show. 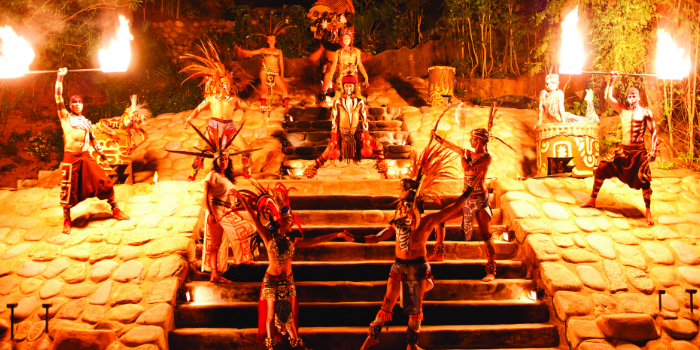 We are extremely proud of the entertainment portion of this tour, which takes you back in time to the ancient civilizations of Mexico using contemporary and modern dance performers. Stay on afterwards and conclude this beautiful evening relaxing on the ship as we take you back to the Maritime terminal. This will be one of the most romantic and unforgettable evenings of your life and we will be happy to make it happen for you.